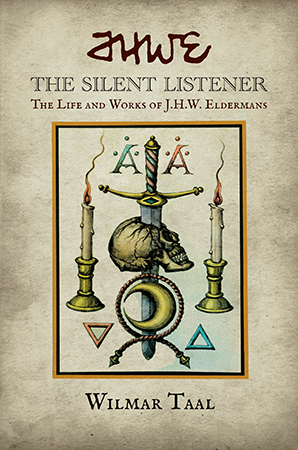 On June 10, 2018, Wilmar presented his latest book “The Silent Listener” at the PFI Summer Symposium in The Hague. During his talk he showed many photographs of J.W. Eldermans – many of which are in the book. This is – as far as I know – the first time anyone has attempted to research the life of this remarkable man. I first became acquainted with the “Richel Collection” in the early 2000’s when we from “Silver Circle” were approached by the then curators of the Museum of Witchcraft & Magic, Boscastle to see if we could help them with the Dutch inscriptions on the drawings. We were of course also interested to know how the collection of J.W. Eldermans’ works ended up in England. We learnt quite a lot and even had contact with Jeanett Richel for a short while. However, it wasn’t until I heard that Wilmar Taal was writing a biography that I found out more. I was curious to find out more about the man Eldermans. Who was he? In 2017 Wilmar and I met in Nunspeet to have a chat. He chose Nunspeet because of the connection the Eldermans family had there. He showed me the “holiday home” the family had there and also the forest where the “Rondehuis” was. We discussed the forthcoming book “The Silent Listener” of course and agreed to keep in touch. And so in June I finally saw it. At 413 pages it is quite a read – for contents see below. Was Eldermans an Occultist? Did he take part in rituals in secret societies? What drove him to make all the drawings, the artefacts …? Who was he?? Many of these questions are amply answered in this well-researched biography. For the Dutch audience, it is a gem. It is perhaps a pity that the collection didn’t remain in the Netherlands, but luckily Bob Richel had the courage to approach the MWM … and the rest is history. Thanks to Wilmar too for all the work he has done to make visible the work – and life – of Eldermans in the Netherlands. His Name Must be Heard! The Silent Listener. 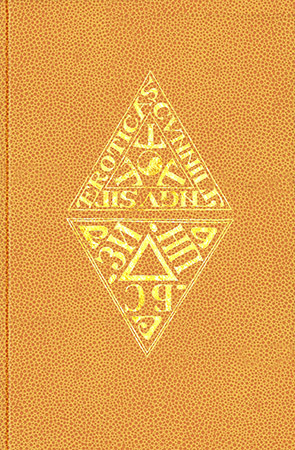 The Life and Works of J.H.W. Eldermans book trailer!